Satya, since its release on July 3, 1998, has garnered cult status as a gangster drama for its realistic depiction of the Indian underworld. 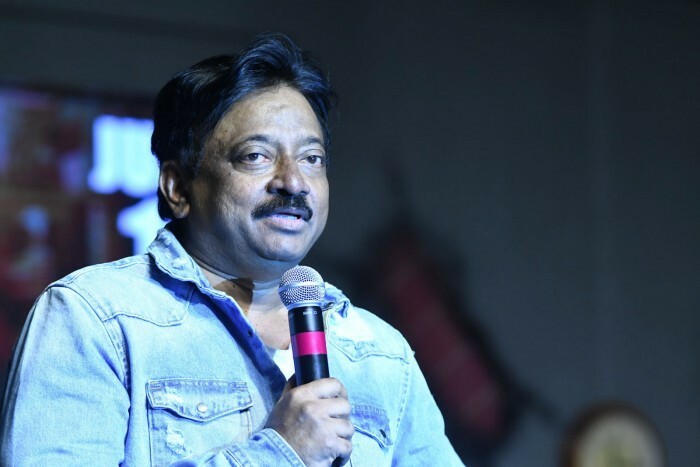 It was an accident, says director Ram Gopal Varma, sharing the “truth” about what went behind the making of the “great film”. “Tomorrow is the 20th birthday of ‘Satya’. It was an accident,” Varma tweeted on Monday. For those interested in “the truth behind ‘Satya'”, he shared a lengthy post, detailing the thoughts and experiences that led to the movie, co-written by Saurabh Shukla and Anurag Kashyap, and starring J. D. Chakravarthy, Urmila Matondkar, Manoj Bajpayee, Shefali Shah and Saurabh among others. “On the eve of ‘Satya’ completing 20 years, I looked back upon it and a ray of sunshine fell across my various fond memories of it and I started remembering the origins of its various aspects,” Varma wrote. “I am not trying to be modest when I say that its faults are solely mine and all its merits genuinely belong to others. I just swam blindly through the wonderful current of energies… and somehow accidentally managed to reach the shore of success… This is the actual truth of ‘Satya’,” Varma wrote. He recounted how when he first came to Bombay (now Mumbai) from Hyderabad to shoot “Rangeela”, a train ride through the Dharavi slums — introducing him to the dichotomy in the super rich and downright poor living side by side — left an indelible mark in his mind. And every once in a while, in due course, he used to hear the word “underworld”. “That was the first thought of mine which eventually resulted in ‘Satya’,” he said. The idea was fuelled when he saw a newspaper with some arrested gangsters’ photographs. “Seeing their thin hands and mostly lean frames, nothing about them looked like how Bollywood portrays the bad guys. They are like any other ordinary people. The guy walking on the road could be a gangster. Even the guy living next door could be a gangster. The whole point of it is that they have to mix up in the society and look like anybody else so as to operate in secrecy,” deduced Varma. All characters in “Satya” were modelled on someone he had met or someone he had heard of. “Everyone had a reference point,” he said, explaining the origins behind the memorable characters played by Urmila (Vidya), Manoj (Bheeku Mhatre), Saurabh (Kallu mama) and Snehal Dabi (Chander). “Once I decided that this is a kind of film I wanted to make, the first person who came to meet me as a writer was Anurag Kashyap. So, I got him on board and he got Saurabh Shukla. We discussed a lot, but nothing was clear. So there was no script on the day we started shooting. “I went half by instinct and half by Anurag’s manic way of writing highly realistic dialogue which mostly used to happen on location,” Varma wrote. The first scene’s shoot — when Sushant Singh (Pakya) screamed unexpectedly — set the mood and pace of how he wanted “Satya” to be made. “All realistic performances in ‘Satya’ came in because I stopped telling actors what to do. I just wanted them to improvise whatever they feel like. Actors were instructed not to follow written lines but just say whatever they feel like, so most of the times the content was told to them and they kept on improvising and I controlled it in the editing,” he said. Varma didn’t have a “clear story” for the movie. But he knew his characters, except for Satya, essayed by J. D. Chakravarthy — and so, he owns up for any “inconsistency” in the character. “To cut a long story short, when people ask me today, if I realised ‘Satya’ would become a great film, I will have to say no. That is because great films happen and no one can make them on intention.